I had a great time at this year’s WCQ&I in Pittsburgh (although it seemed to rain the whole time – that didn’t really matter since I was inside). 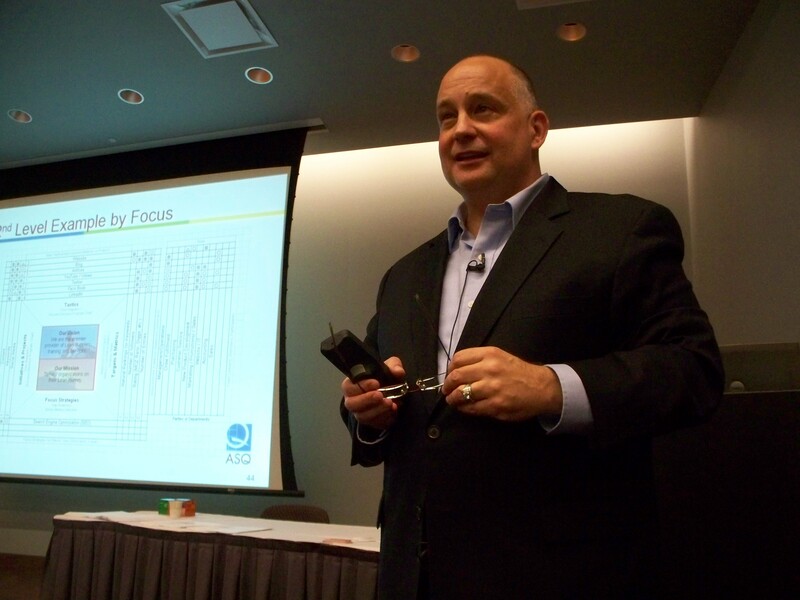 Here is my recap of ASQ’s leading conference. Arriving on Sunday, I was able to take part of the Lean Enterprise Division’s annual board meeting. It was nice to see that it was well attended and productive. 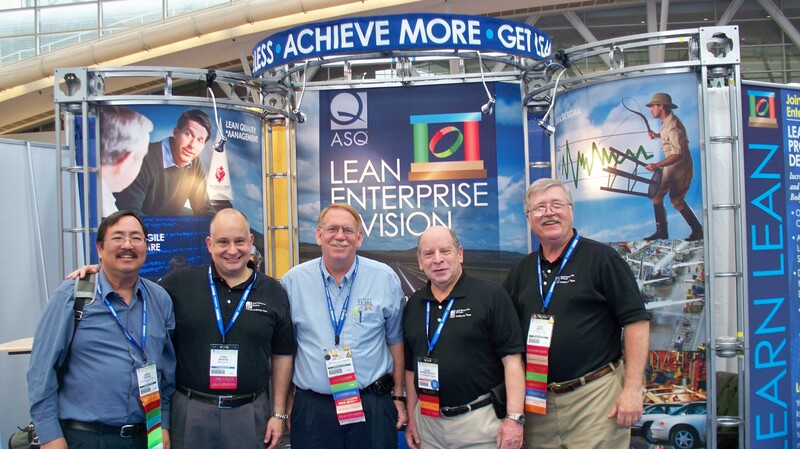 Many projects from the year were updated and there was an excellent discussion on how ASQ headquarters and the LED can work together to promote the premier Lean Certification that is hosted by ASQ, SME, AME and the Shingo Prize. Monday morning’s keynote speaker Admiral (ret.) Thad Allen was an engaging speaker. I liked that he didn’t have any PowerPoint presentation and just spoke form the heart. In my mind he was in charge three of the toughest assignments anyone could have had: relief after hurricane Katrina, earthquake relief in Haiti, and the BP oil spill in the Gulf of Mexico. He talked about his experiences during these times. For more information on this and other happenings during the conference you can check out my tweets at www.twitter.com/5Ssupply or search using hash tag #WCQI11. Monday afternoon I did a deep-dive presentation on using Hoshin Kanri’s X-matrix. This was an expansion of my article “Hoshin Promotion” in ASQ’s Six Sigma Forum Magazine last August. I wanted to show people how to work with one of the tools during Hoshin planning and how to take it to the next level. I enjoyed my time seeing old friends and meeting new ones. I attended some great sessions on Lean related topics. One of my favorite parts was being at LED’s booth on the conference floor. It was wonderful to see all the people stop by, talking shop and passing out Lean Certification packets. 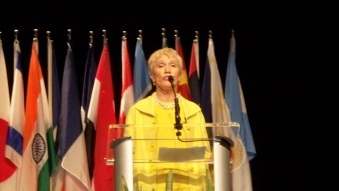 Another keynote that I attended was Barbara Corcoran (from the television show Shark Tank) who talked about lessons she learned throughout her life. She turned a $1,000 investment into a multi-million dollar real estate business. Her combination of humor and heart-felt stores engaged the audience. Check out her new book “Shark Tales”. Once again if you want more information about the conference you can check out my tweets at www.twitter.com/5Ssupply or search Twitter using hash tag #WCQI11. I also put up some pictures on our flickr account http://www.flickr.com/photos/5ssupply.